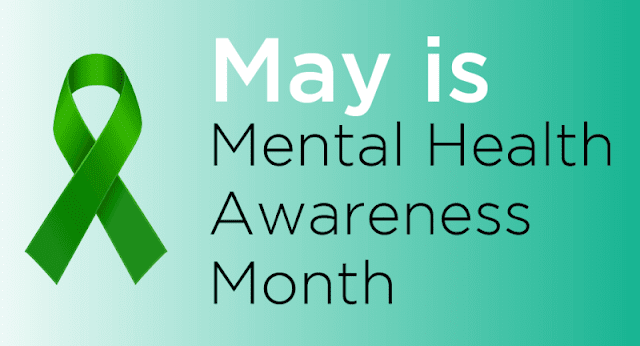 With May being Mental Health Awareness Month, there have been plenty of discussions on the serious mental problems that affect the nation. However, there should also be discussion on the many ways we can make some small steps to improve our overall mental health. Having strong mental health can help you improve at work, while you’re parenting, and can help you enjoy life even more. Here are some simple steps to help. Many people associate these two with losing weight, but few realize just how well working out and eating right can help with your mental health. First, eating foods rich in omega-3s and other goodies can help improve the overall health of your brain. Meanwhile, eating less junk food can help keep you more alert and functioning better, which is always a plus. Meanwhile, exercise helps release endorphins, which help you relieve pain and allow you to feel better about yourself. Not to mention, doing both of these things improves your self esteem and energy, which works in harmony with having great mental health. Strive to eat right, exercise, and receive all the benefits of doing so. We all have busy lives, and many of us have a “we’ll sleep when we’re dead” philosophy. However, you may go to an early grave if you don’t sleep enough. Not getting enough sleep comes with plenty of health consequences, including taking a toll on your mental health. How much sleep you need depends on the person. Some need your average of 8 hours. Others may need up to 10. There are some who can go with 6 and be at full power. You probably know how much sleep you need, and you should make strides to improve your sleep levels. Unwind before bed with a good book and a hot bath. Don’t do anything that can excite you. Try supplements like melatonin. If all else fails, talk to a sleep doctor. Having a new hobby can encourage creativity and allow you to express yourself in many different ways. Being creative opens plenty of passages in your mind and keeps you thinking outside of the box. Hobbies can be as complex as building structures, or as simple as collecting stamps. Try a new hobby if you find yourself bored at your old one. A glass of red wine on occasion is good for you, and the occasional social drinking is fine. However, too much drinking can wreck your physical and mental health. If you drink to cope with your problems, try finding a different outlet. Drinking offers a temporary feeling of release, but it does not solve any of your problems and will usually end up making things a whole lot worse. Cut back on the beer and instead look for more pragmatic solutions to your problems. You’ll be glad you did and your liver will thank you for it. You don’t need to have severe mental health or marital problems to benefit from talking to a counselor. A counselor can give you guidance on where to go next in your life and can help you grow as a person. There are many ways you can talk to a counselor these days too. Online counseling, which has helped those who can’t travel, has seen a rise in popularity. Sites like Regain have helped many, and we believe that they will help you too. Improving your mental health is something anyone at any age should try. Give it a try and see the difference.